guardianwolf216 Fanmade Young Justice scenes. These are FANMADE par guardianwolf216 in Tumblr but I WISH they appear in Young Justice. 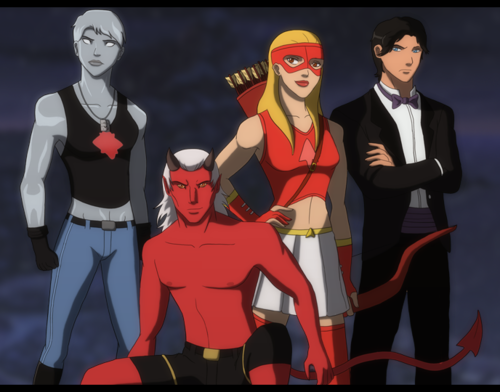 Wallpaper and background images in the La Ligue des Justiciers – Nouvelle Génération club tagged: young justice kid devil arrowette bombshell zachary zatara.